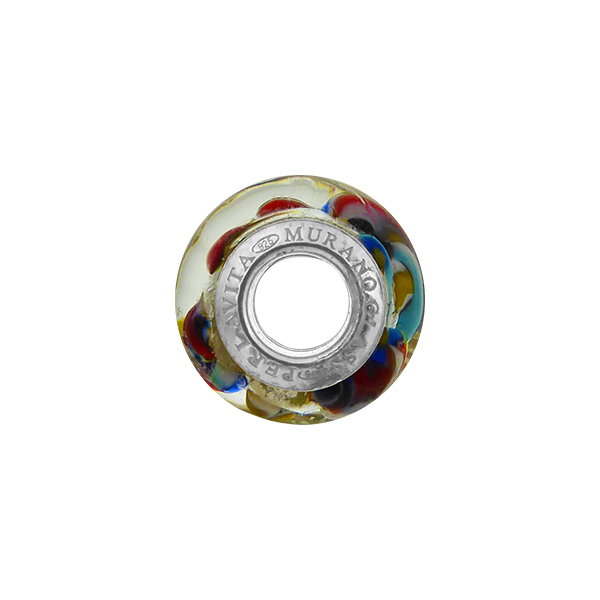 Popular KLIMT Inspired design in Murano Glass with multi color of colorful Murano Glass drizzled over .925 Sterling Silver and completely encased in trasparent clear. The colors are completely random. 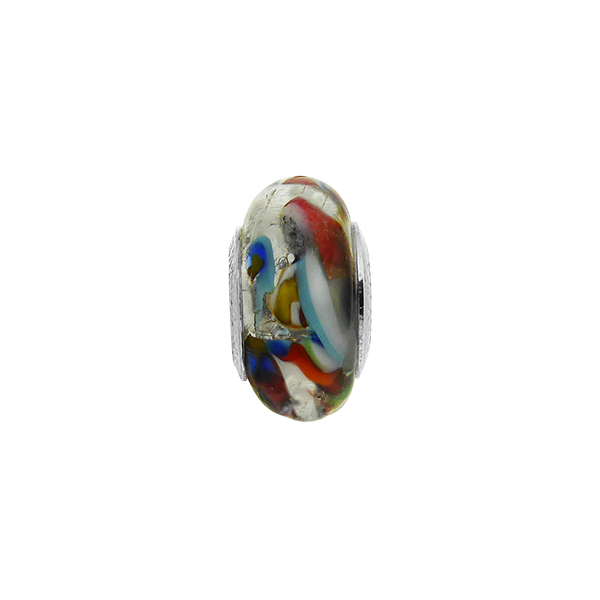 The size of this charm bead is approximately 14x8mm with a Sterling Silver Insert PERLAVITA. Fits popular large hole bracelets. Authentic Murano Glass and Italian Silver. This is our line of thinner beads the size of Pandora.